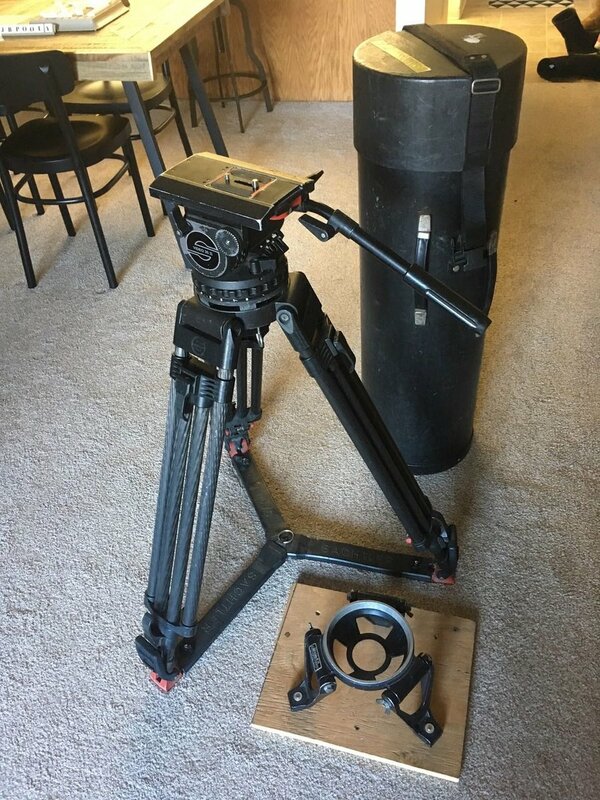 Selling my Sachtler Video 25 II tripod. It is a 150mm bowl and can counter balance up to 77 pounds (35kgs). Comes with two stage carbon fibre legs with floor spreader. Fits in a hard plastic travel tube case, great for flying and is light weight. Also my 150mm Miller high hat is apart of the deal. There is usual cosmetic wear and tear (see photos), Head was serviced regularly and the drag adjustments do not stick. Kit is located in Vancouver, Canada. Happy to ship internationally at buyers expense (please note if shipping, the wood board will not be included to make customs a lot easier). If paying by PayPal, buyer pays fees.